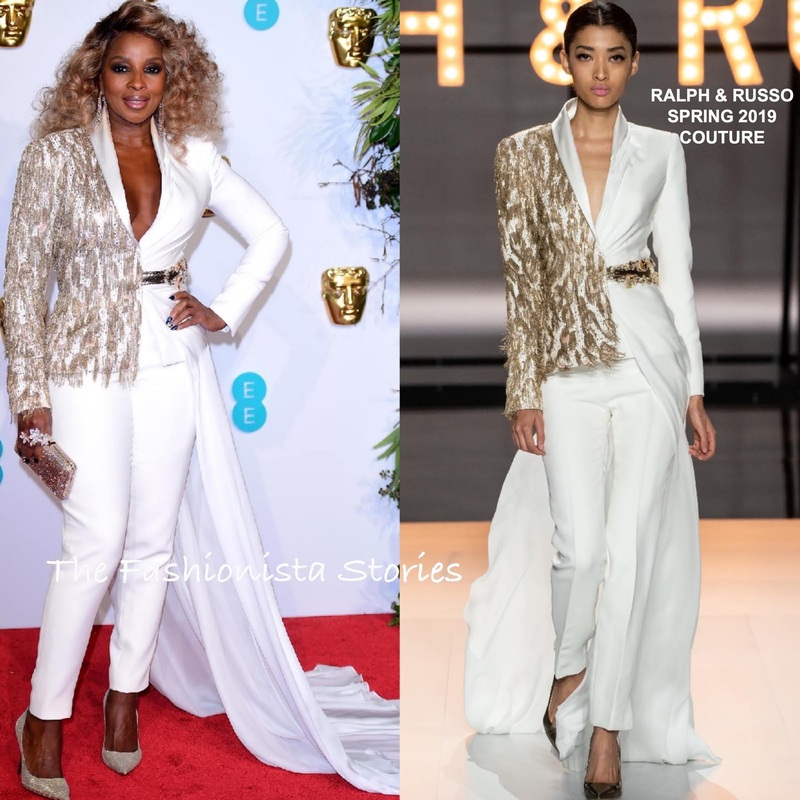 Mary J. Blige and Eleanor Tomlinson hit the red carpet this evening(February 10th) wearing RALPH & RUSSP SPRING 2019 COUTURE at the EE British Academy Film Awards at Royal Albert Hall in London. Mary J. Blige went the power suit route, wearing a white suit, featuring a beaded panel on the jacket, a belted waist and a draped panel that flowed into a side train. Despite the jacket having a snug fit on her, I do like this suit. Her look was topped off with side parted curls, a smokey eye, LORRAINE SCHWARTZ earrings, DAVID MORRIS rings, and a JIMMY CHOO clutch & pumps. Eleanor Tomlinson who also attended a pre-party, chose a gown from the collection. I love her pink and black embellished gown, which featured a flirty slashed bodice and a bow shoulder. I can't say that I am loving the hair but the gown fits her perfectly.